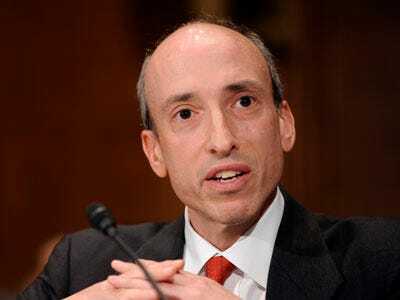 In what will probably be the most overlooked part of his speech yesterday, CFTC chief Gary Gensler actually hit on one of the most important reforms we could make to our financial system. Namely, we need to stop allowing banks to inflate their capital reserves simply because they have credit protection on assets. Credit default swaps also play a significant role in how banks manage their regulatory capital requirements. Under the Basel II capital accords, large banks and investment banks could significantly decrease their regulatory capital by relying on “credit risk mitigants,” including CDS positions on existing exposures. U.S. standards under the Advanced Capital Adequacy Framework, though more conservative on this matter than Basel II implementation elsewhere, also allows for some reduction of regulatory capital when a bank purchased CDS protection from an eligible entity. So, a bank can essentially rent another institution’s credit rating to reduce its required capital. Two lessons emerge from the role of CDS in this context. First, bank capital regulation should be modified to make the use of CDS for capital reduction more restrictive. For example, possibly only CDS subject to collateral requirements could be allowed to provide capital relief, or a bank’s exposure to particular CDS protection sellers could be limited. These measures are within the current regulatory authority of bank regulators, and I am hopeful that internationally coordinated and consistent revisions to the capital adequacy regime that are currently underway will consider such suggestions. To spell that out a bit more, both Basel II and U.S. standards require banks to set aside different amounts of capital for different types of assets. Assets that are considered riskier by the rules or that have lower ratings from the ratings agency, require larger capital reserves. Banks are allowed to use capital enhancements to reduce the amount of capital they have to set aside on risky assets. Credit default swaps are the main way the did this. AIG specifically pitched its derivatives business to European banks as a credit enhancement tool. The problem is that neither the US nor Basel rules delved into the quality of the swap counter-parties. Under the ersatz ideology of the regulators, it was assumed that the market would police this. The idea was that banks would monitor the quality of their counter-parties based on self-interest. After all, they were paying for credit insurance, so wouldn’t they want to make sure the insurance company would be financial secure enough to pay out when the bills came due? Unfortunately, the regulators had overlooked the fact that bankers often purchased credit enhancement for pure regulatory arbitrage reasons. And when you are buying a credit default swap not as insurance but to lower the amount of capital you set aside, the quality of your counter-party is far less important. The regulations themselves created a risky situation in which swap buyers had little interest in the quality of swap sellers. This is one of the reasons so many banks had such huge exposures to AIG. Back in October, we called for new regulations that would just not take credit enhancement into account. Banks would just have to set aside the full amount of capital for risky assets. Any credit protection they purchased would have to be for genuine risk management purposes rather than regulatory arbitrage. Gensler stops short of this, making allowance for collateralized CDS. We’re not sure that goes far enough, since it would still allow for regulatory arbitrage. But it’s a step in the right direction.